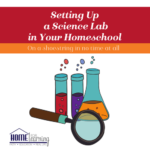 The scientific method provides a sequential way to teach the process of scientific inquiry to your students. This takes the pressure off of the teacher and allows her to count on the process. 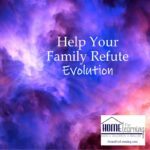 In a word, it makes teaching science in your homeschool doable. It’s following a sequential series of steps in an attempt to find an answer to a scientific question. When a question is asked, such as, “What does a plant need in order to grow?”, you follow a series of questions to (hopefully) come up with an answer. It’s not always the answer you expect or want. But, the process of discovering the answer is what’s referred to as the scientific method. 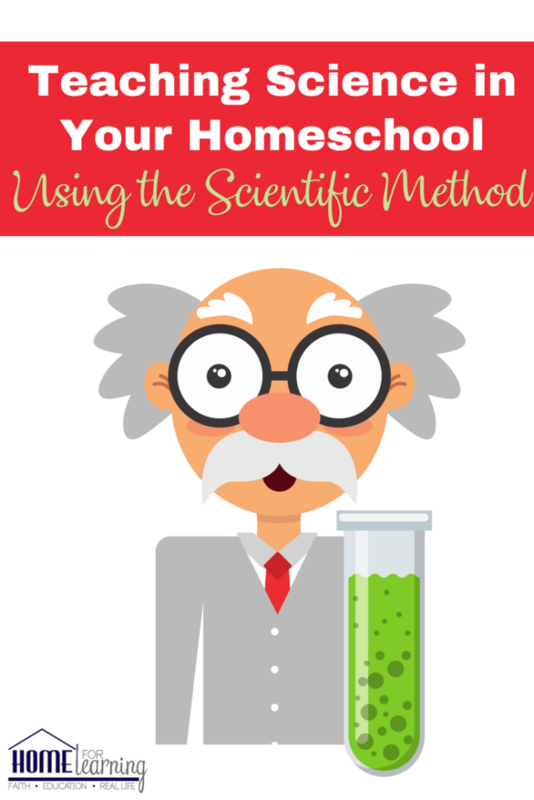 What are all the steps and what do all the steps in the scientific method mean? Question- What is being solved? Research- What do I use for study? Hypothesis- What do I think the answer is? Materials- What’s my list of items needed for experiments? Procedure – What are the sequential steps taken in executing the experiment? Experiment- A test or hypothesis. Observation – Careful examination of what’s taking place. You can create a simple checklist based upon this process (which I include in my Study Guide, Teaching Science and Having Fun) based on these 8 definitions. 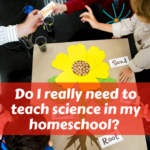 Is the scientific method for all grade levels? 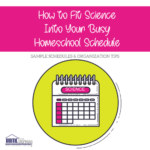 The scientific method is ideal for all grade levels, including your younger ones. While I love nature study and hands-on activities (and advocate them! ), a balance of using worksheets in science for our observations was important. While you wouldn’t expect a preschooler to write out the steps, they can be drawn or even talked through. 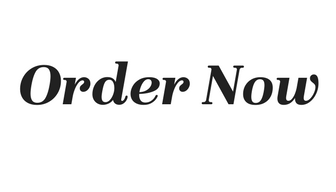 Can we do experiments without writing out the steps of the scientific method? The scientfic method can be simple enough for a preschooler and complex enough for a graduate student. 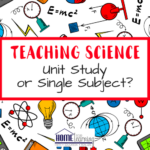 When conducting experiments, using this simple but throughout method of inquiry and recording your observations serves many purposes. 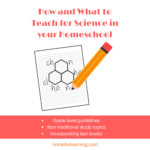 In conclusion, teaching science using the scientific method is a sound and proven way to approach the subject of science in your homeschool.